How do you keep your pool house from reverberating like a gymnasium without draping heavy curtains on all the walls and windows? 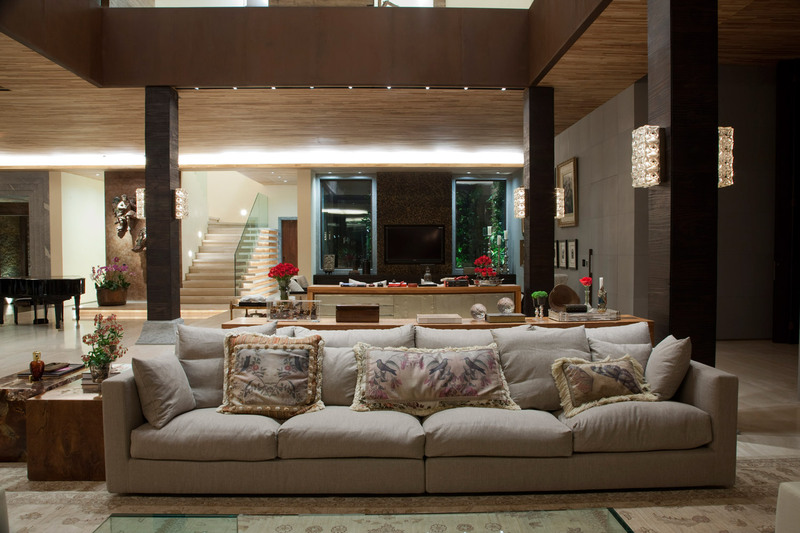 For the owners of a luxurious villa set on the cusp of one of Brasil’s most breathtaking landscapes, the views and the pastoral silence were sacrosanct. 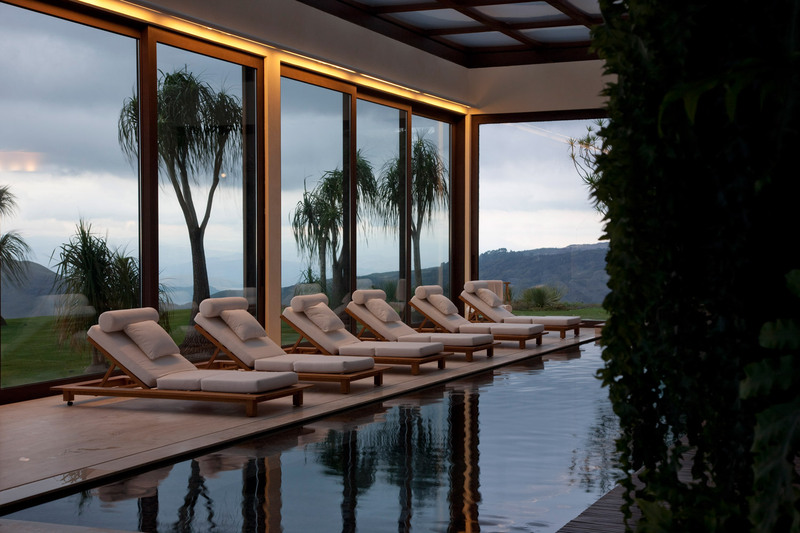 A long expanse of windows surrounding the infinite lap pool draw attention to the spectacular mountain and garden views framing this weekend residence. The thought of echoed laughter and music disturbing this pristine environment was untenable. 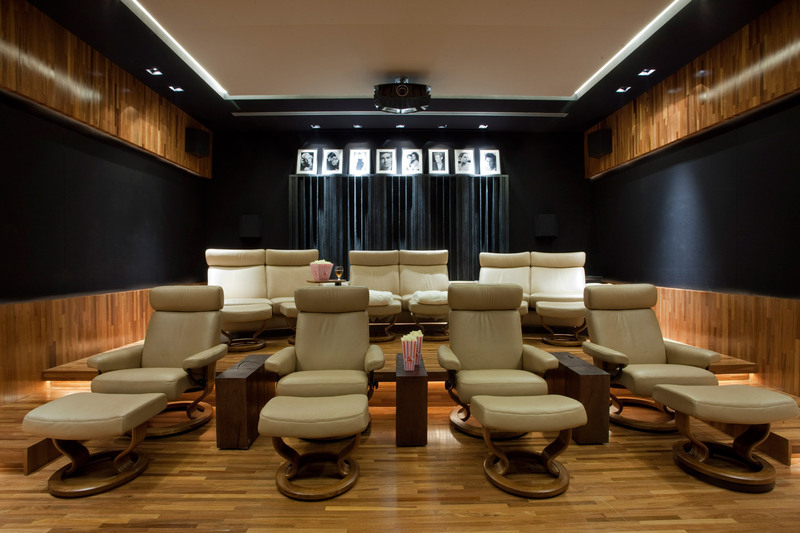 The architectural and acoustical design devised by WSDG for the villa’s home theater and other living spaces leaned on solution suggested by the firms’ professional recording studio expertise. Inhibiting sound from leaking into or out of sensitive listening areas such as recording studio live and control rooms is a WSDG specialty. The enclosed pool and spa area, however presented more troubling waters. Particularly challenging was the need for the acoustical treatments to unobtrusively compliment the custom finishes. Concern for reducing intrusive kitchen noise during mealtime were dispelled by customized, aluminum-based plates, designed to resemble a hard stonewall. Installed with air space filled by appropriate insulation behind the wall between kitchen and dinning room, the imaginative treatment successfully contains culinary clatter. Similar materials were installed in the living room. Complementing the treatments with unique wood ceiling mountings provided requisite absorption for the entire sound spectrum, and delivered an acceptable reverberation time. 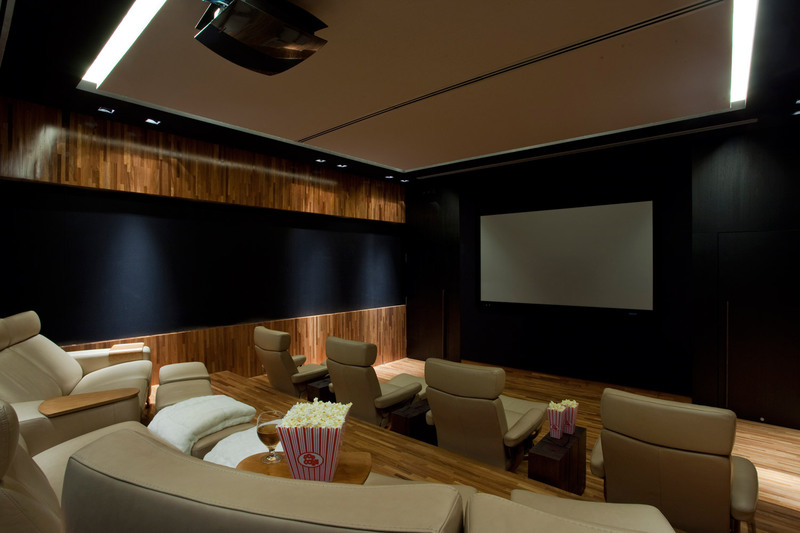 WSDG also designed a spacious (but cozy) home theater, which integrates the highest levels of audio and video technology. Recording studio-level, acoustical wall and ceiling treatments were engaged to provide superb frequency and time response.Bedrooms and a home office also benefitted from acoustical ceiling clouds, designed to control the reverberation time over a broad sound spectrum enabling each room’s individual 5.1 surround sound and HD video system to deliver maximum performance quality. 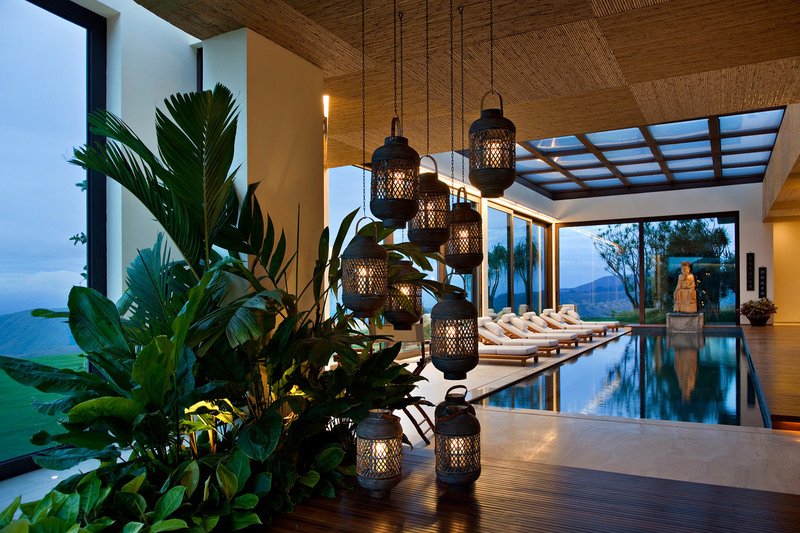 The swimming pool and spa area, however, presented the project’s primary acoustic challenge. The large area includes a gym, Jacuzzi and wet bar, surrounded by three walls of double height windows and a movable glass sealing system to maintain interior warmth in the cool, mountain region evenings. Again, professional recording studio design techniques provided solutions. Each window, including an expansive skylight grid of 20 individual panels was fitted with Acoustical Clearsorber Foil. Imported from Germany, the innovative translucent plastic sheets absorb medium and high frequency reverberation to resolve sonic reflection issues. Clearsorber also serves as a full room UV ray filtering system! Full transparency insures unimpeded views and, conversations free of traditional pool house reverberation. Read Article in Residential Systems.